Français. Back to Homepage. Sitemap. Go to menu. At GGPs, we believe that culture is better when you do not limit it. As a result, this game is supplied without digital locks (DRM) and is released under the Free Art License. 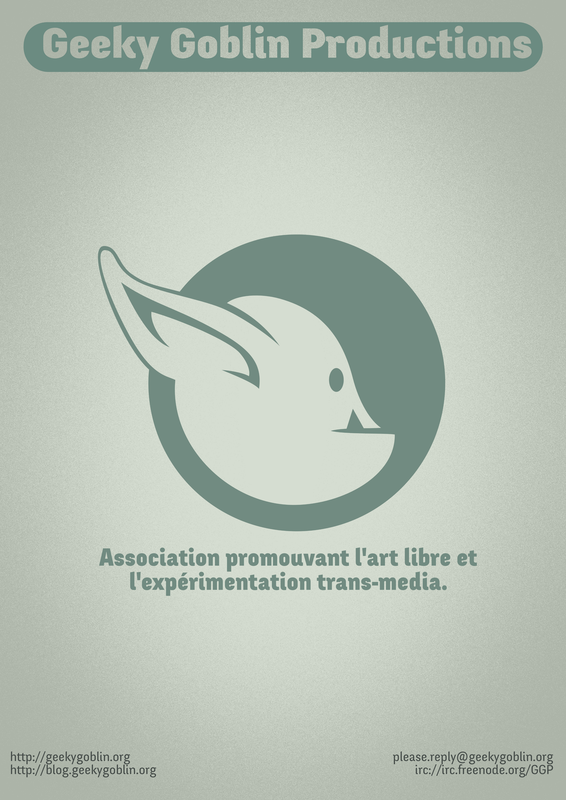 In addition, we would gladly welcome your contributions. You can join us on our forge, or chat with the team on our IRC channel. My relationship with the sokoban (“warehouse keeper” or “storeman” in Japanese) has always been complex. I have often found such games visually poor, with a sudden difficulty growth, in short one of those sad puzzle games that serve hobby of last resort. As a child I thought it was a kind of game that you could not focus on without intellectual challenge. The lifetime that we imagine from this kind of games seems shorter than another. Growing up, I was sorry that no one attempted to add options to sokoban, offerring freedoms or rewards to the player. There has been new visuals (boxes and barrels have become giant gems, as the protagonist always had a little more or less logical link with the object to store) the emergence of 3D, touch and narration justifying the actions of different players, but not extraordinary. Friendly, but not endearing or more permanent. Mechanics remained the same, and the single game mode. The experience was poor, or at least touched a limited circle of people for whom the game is easy to access and have no vision or dream requirement. When the idea that Ned would have a certain affection for maki (itself after two illustrations among others behind the character) appeared, I took to heart to find the origin of the latter. 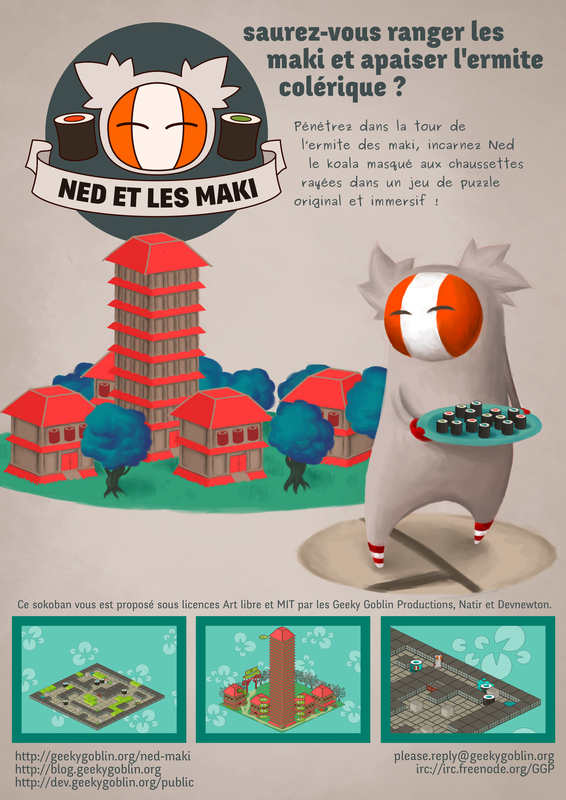 This is where the sokoban came into the picture: I liked to visualize Ned pushing giant makis on plates, and at the same time it was an opportunity to give more character to this puzzle game. The pixel art style matches the state of the protagonist: he just drop in a non-digital space, his perception of things is limited for the moment, and its interaction with them is incomplete too. The basic mechanics has not changed: the player can move and push objects. If the base had changed, the title could have been more original, but the result would not be a sokoban. The challenge being to add cachet, it was necessary to add mechanical possibilities. 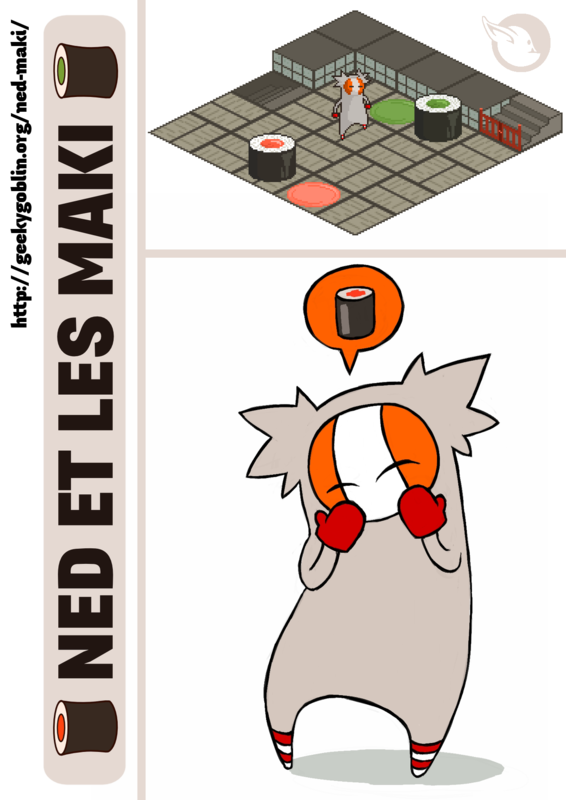 So there was not a single type of object to push, but several: a salmon maki will not have the same reaction that an avocado maki when the player will push it, and boxes will be eternal obstacles. The boxes have not been added only for the purpose of more complex tables: their presence is a tribute to the original sokoban and an echo of their presence in a project that is a direct result of this one.